If you are a fan of designing your own clothes and selecting the fabric of your choice, head to this all fabric place in Commercial Street - Salonee. They have a wide range of materials, textures, and designs. You can almost find every material here like cotton, silk, jute, khadi, chiffon, and georgette. 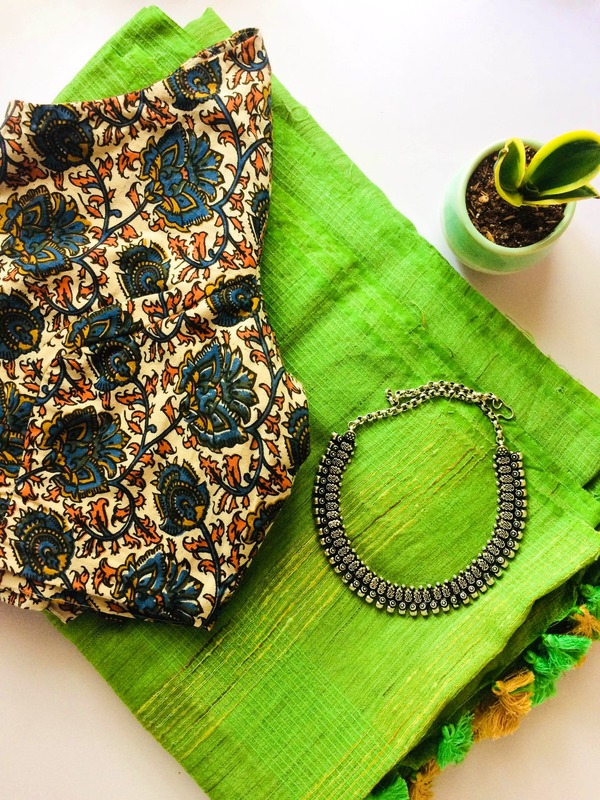 Also, they have designs from across the country like Indigo, Banarasi, Kalamkari, Madhubani, Ajrakh, Block print, Kantha work, Shibori, and digital prints. The quality of every fabric is great. The price range varies from fabric to fabric. You can find materials starting from INR 149 per metre and can even go up to INR 2,000 per metre. It depends on the fabric and the work on it. You can find fabrics for kurtis, shirts, blouse, trousers etc. PS - Don’t forget to check out their Chanderi silk dupatta collection which is priced between INR 750- INR 1,200.